I received this service from Beauty by Jackie in exchange for an honest review. All thoughts and opinions are my own. About 8 months ago, I decided to give microblading a try. I had been hearing a lot about the process from other bloggers and around the internet, so I began to research it further. To be honest the idea of someone running a blade across my face did not sound like a good time. I am a self-proclaimed wuss (even though I had a baby totally natural and unmedicated, ha!). After giving it some thought, I figured it could not be that painful and would totally be worth it in the end. 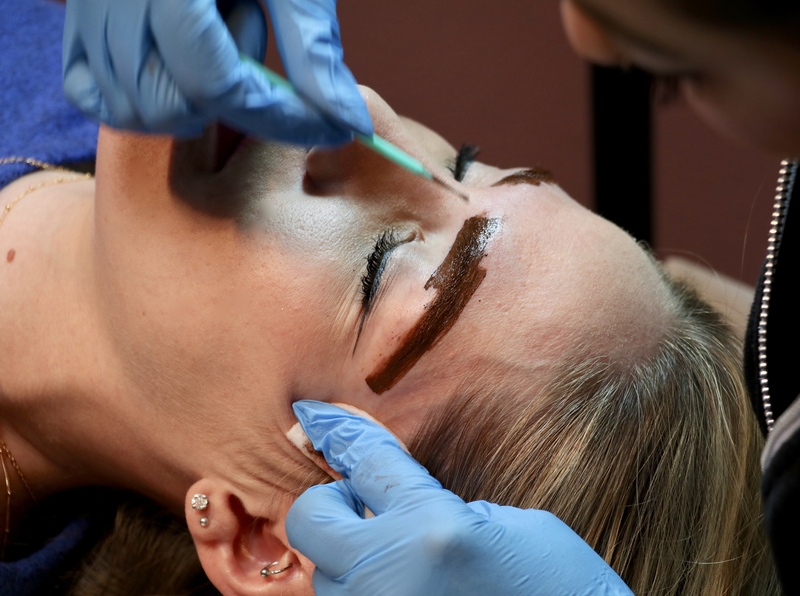 I realized that there were not many people who did microblading in Albuquerque, and wound up asking around on Facebook to see if any local friends had gotten it done. Unanimously, everyone I know recommended Beauty by Jackie. I spoke with Jackie, set up my first appointment, and the rest is history! Probably the most asked question when it comes to microblading. I think the answer is completely dependent upon your pain tolerance. In my opinion, it did hurt. 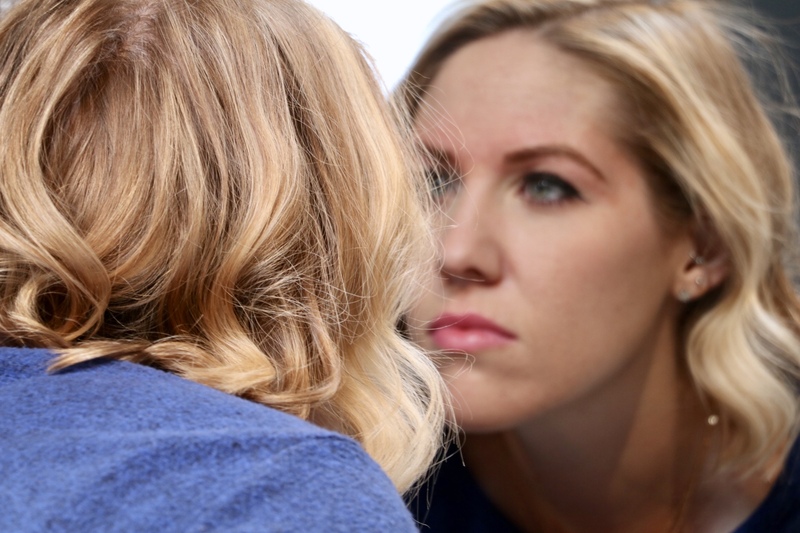 While I was getting them done, Jackie asked me what it felt like and I told her, “exactly like what you are doing – running a blade across my eyebrows.” I wasn’t kidding. 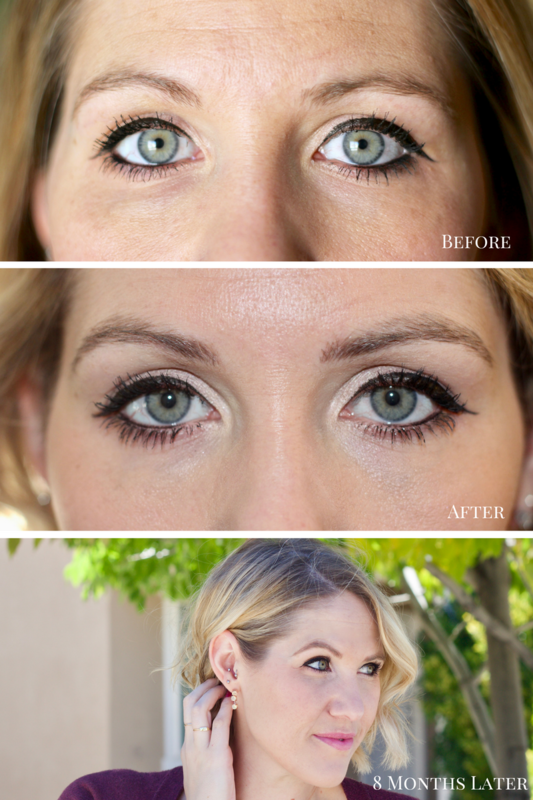 Before having microblading done, I read a lot of reviews that most people said it did not hurt. Many people say it feels “annoying” or “irritating”, but I beg to differ. Again, it just depends on your tolerance for pain. You can choose to have anesthetic cream applied to numb the area. Jackie charges $400, which includes a consultation, the initial session and a touch up session after 4 weeks. 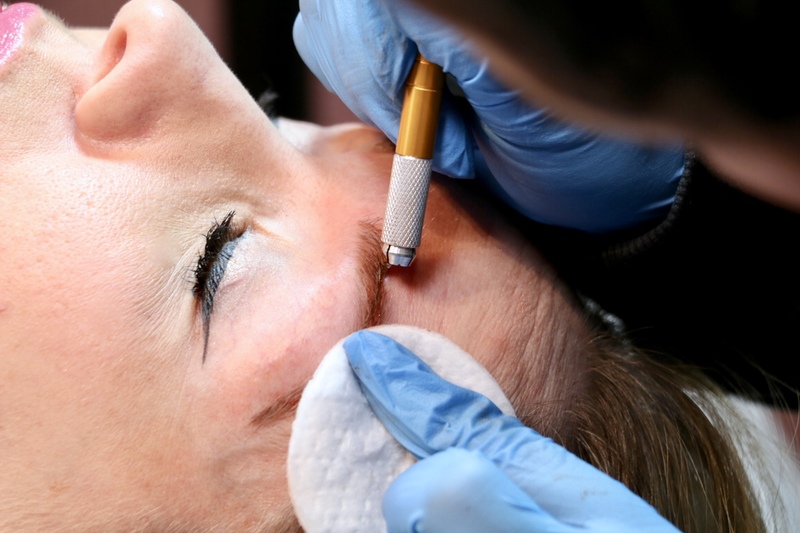 The price may vary depending on where you live and where you go to get the procedure done. After doing a little bit of research, it appears as though you can spend anywhere from $300-$800. How long will it take for my eyebrows to heal? Mine appeared to be completely healed after about 10 days. By day 8 they really started to itch and I noticed a little bit of peeling. The itching only lasted about a day, and any peeling subsided by day 10. You will notice in the photo below what I am talking about on day 8. The healing process was not uncomfortable in any way, other than the temporary mild itching. How do I care for my eyebrows after getting them microbladed? After getting my eyebrows microbladed, I applied a thin coat of Vaseline before taking a shower to make sure they did not get wet. I opted to use organic coconut oil on mine as a healing ointment. After showering, I gently removed the Vaseline with a dry paper towel by dabbing it on the area. Then I applied a layer of coconut oil on my eyebrows. I continued this process for a full two weeks. Always be sure to wash your hands any time you are going to come into contact with your healing brows. It is also important to ensure you do not apply any makeup or skincare products to your eyebrow area for the full healing period (up to 14 days). Will the color of my brows fade? Yes. I began this process at the end of February and it is now almost the end of October. About 8 months later, I do feel like my eyebrows have faded significantly, however the shape and definition that I was hoping for is definitely still there. I shared a photo below that was taken in mid-October so you can see how the color has changed over time. 10000000% yes! Not having to worry about filling in my eyebrows every day is such a time saver. I never felt like I did a great job filling mine in, so it’s great to have a nice shape and fullness. I also have very fair skin and hair, so if I didn’t have time to fill my brows in, they felt almost non-existent. I took the photos above throughout the healing process because I wanted to share how the color changes. 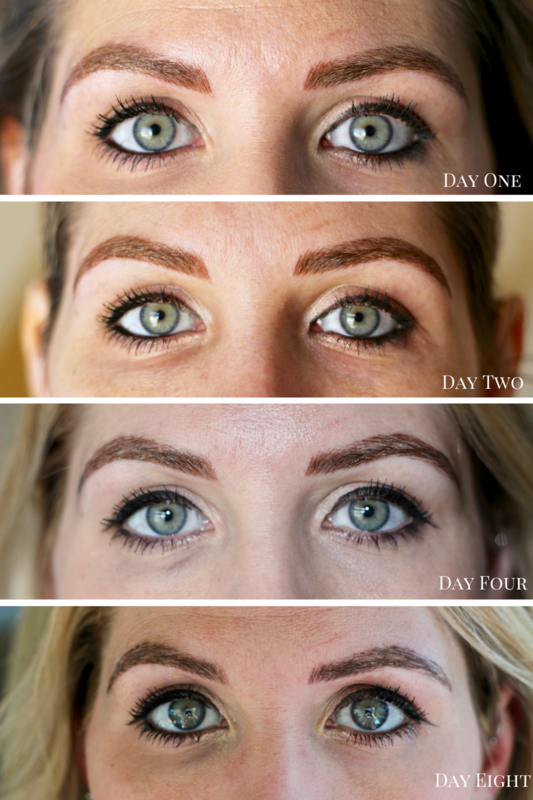 My brows were super dark for about the first 5 days, and significantly faded by the 12-14 day mark. The photos below are my eyebrows before and after both the initial and touch up session. The last photo was taken just recently, about 8 months after my initial microblading experience. I have not filled in my eyebrows or touched them up in any way, so needless to say I am still loving my results. I definitely plan to get my brows touched up at some point in the next year to help maintain their shape and color. 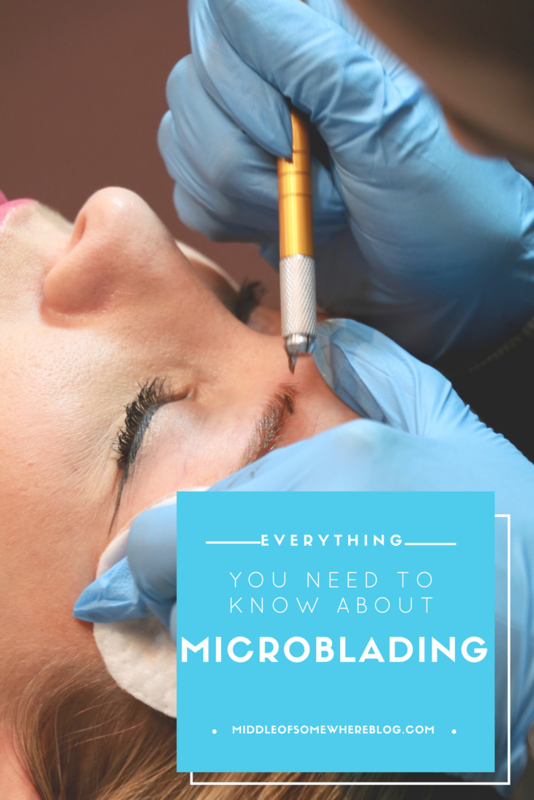 If you have any additional questions about microblading, please feel free to leave a comment below or send me an email here! A huge thank you to my friend Jaelan from Making Mrs. M for taking these photos!